Be competitive for the best legal jobs! For the past 15 years, Pericles Law Center has dedicated itself to giving law students, business professionals, and lawyers the best possible American style legal training in Moscow, Russia. As business practices become more global, lawyers need to have an excellent grasp not only of their national law, but also of Western Law and legal reasoning. However, travelling abroad for further education is difficult for most working professionals. 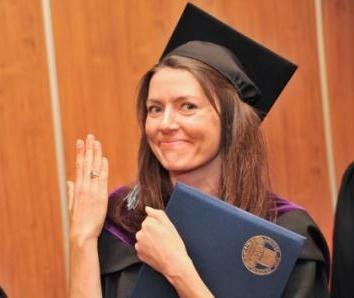 Thus, Pericles has introduced this its two - three year, evening Master of Laws program, available in Moscow since 2002. This program took many years to build and is a credit to the hard work and dedication of Pericles’ staff and lawyers from many Western law firms who contributed to the program's development. These people have enabled Pericles to take the best American standards of legal education to Russia and Ukraine, and offer a Global Business Law degree that gives great benefits to Pericles’ students. We work with lawyers from firms like White & Case, Baker & McKenzie, Dentons, DLA Piper and Debevoise & Plimpton, who have given generous donations of scholarship support; donated occasional use of their facilities; and allowed their lawyers to regularly teach courses. Welcome to Pericles' Global Business Law LL.M. program! The Pericles LL.M. is a post-graduate degree in law designed to help future lawyers increase their legal knowledge, skills, and job perspectives after graduation. Only those lawyers who have already graduated from law school or are graduating this year are eligible to apply for an LL.M. at Pericles. On rare occasions, business people with strong legal backgrounds are also admitted to the program. The Pericles LL.M. is a two-three year program with courses offered at night and on Saturdays. The curriculum is designed to teach the skills and knowledge that Western law firms wish to see in their associates, and that Western companies desire in their local in-house counsels and in the external firms these companies retain. Don't kid yourself, this program is not a diploma mill! The Western style discussion and socratic classes will challenge your thinking, and the required writing courses required will take real work to succeed. But this is just what makes Pericles LL.M. degree valuable to employers, and what makes Pericles graduates well reputed. As a non-profit institution, our aim is to train the best, to be the best. Our high standards make Pericles LL.M. graduates competitive for the top legal jobs in Russia and Ukraine. Please see videos on the LL.M. program, with Dean Dent and Pericles graduates telling about about their study in the program. The Pericles LL.M. Program in Details.